all Mini-Sessions have been filled. 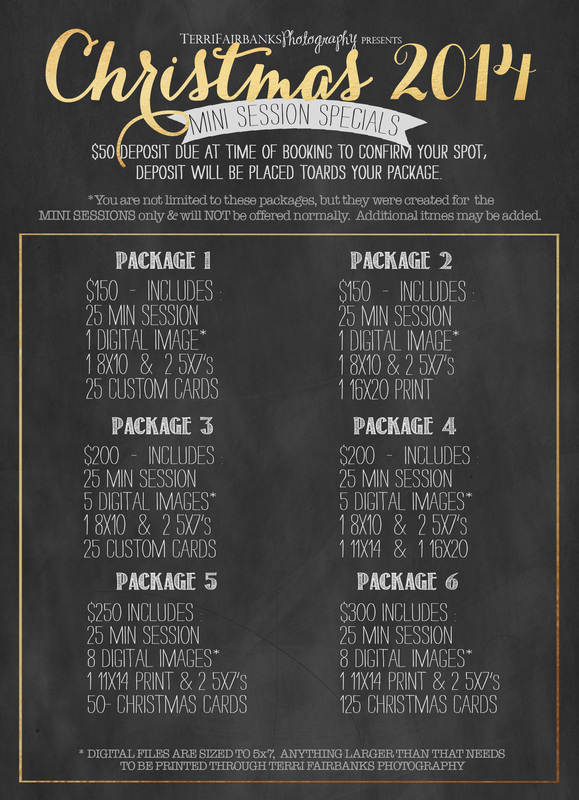 Mini sessions are filling up quickly so please contact me directly to arrange a time. 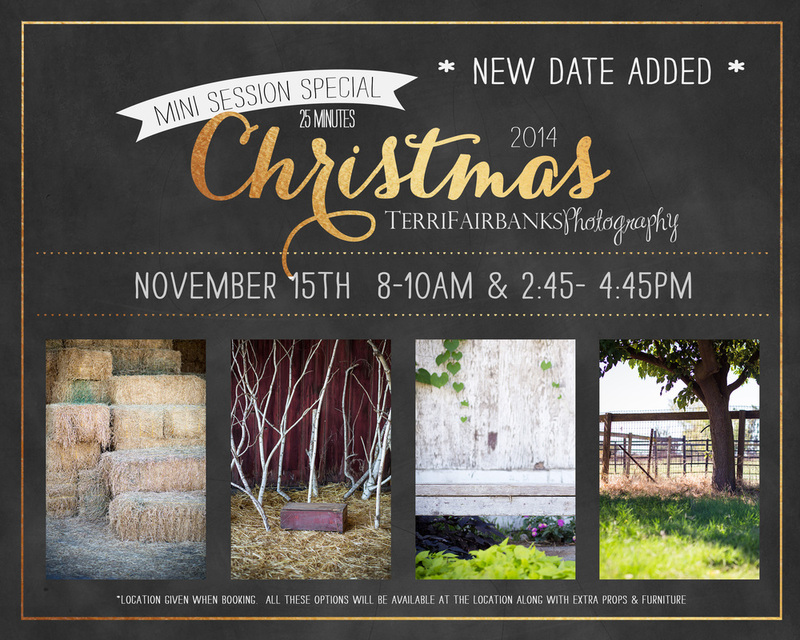 Mini Sessions include 25 minutes on location in Lodi. Location will be given during booking or by calling me. You will be able to view 12-15 pictures with a private/password protected online viewing session. You will need to be ordered with in 2 weeks to guarantee delivery before Christmas. 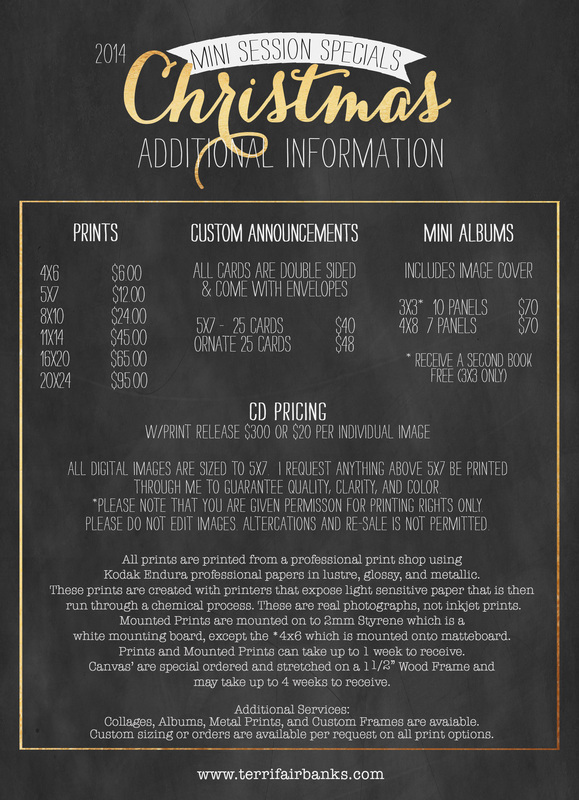 There are packages available to pass along a better savings to you, but you may order al a carte if you'd like. Orders placed within 7 days of online viewing session being posted will receive 25% off your additional print or digital file purchase. Arrival at the mini-session should be 10 minutes before your session so your family can arrive and fix anything with their wardrobe, hair, or makeup and adjust to being out of the car. If you are late that time is taken from your session. My apologies, but I will not go over into the next persons time slot. I do bring a smarties to give out to children as I'm taking pictures to keep their attention. If you prefer something else please let me know, it needs to be white/very light in color so it doesn't stain or show up in their mouths. I understand that not everyone allows candy so I have no issue using something else. Yogurt bits are a good alternative. See below for more information and details on the packages available. Please keep in mind your spot is not reserved till your deposit is given and you have received a confirmation email from me. Also, please check out my blog (click above on the menu) for a post on what options there are for the Location. There are lots of fun options and everyone should be able to find something they like. Sorry, Mini Sessions have been filled and finished. Make sure to take advantage of this opportunity next year! Please Fill out the form below or contact me via phone or email. As a reminder, your spot is not reserved until I have confirmed it via email and have received your non-refundable $50 deposit. The deposit can be placed towards your package. After communication of time slot desired you will have 24hrs to pay your deposit, after which your spot may be given to the next person interested. My apologies if you don't get the slot you'd like, but I'm trying my best to make something work for everyone. Thank you so much for your time! 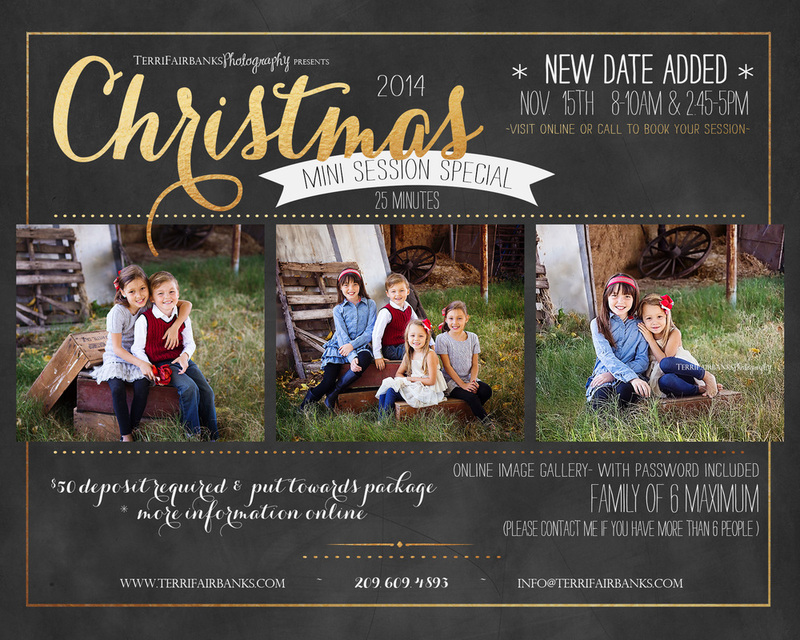 I'm excited to help capture your families memorable moments.